And especially because of the misleading information many so called “Law of Attraction guru’s” spread around, lots of people think it doesn’t work. Are you one of them? Usually people give up and go about their lives after they have been practicing the wrong stuff. Disappointed and confused. Because deep down inside they know there must be a way to make it work. And I can guarantee you there is. I know from my own experience that the LOA works. Always. And that it will never stop working. Just like the Law of gravity doesn’t stop itself. Even when you don’t believe in it. That is because it’s a law. And the same goes for the Law of attraction. It is one of the spiritual laws of the Universe. We can’t change them, but we can learn to live in harmony with them. Yet a lot of people who dive into the Law of Attraction learn it from the wrong people. And with that I mean people who don’t apply it themselves and/or aren’t very successful with it. But there are not many people wondering about the credentials of the teacher they choose. And I can understand that. Because you want a better life. You’re hungry to take back control over YOUR reality. That is not so strange. But many people forget to even question whether they learn it from the right person. Well let me tell you: The right people to learn the ins and outs of the LOA from are those that apply it and are successful with it. It’s that simple. So please don’t be mislead by people that claim to know the LOA. There aren’t many people that really know the Law. They only want to become rich by selling you a program that might work a little, but not so good as promised. And these so called “teachers” and “mentors” provide you with information they gathered from the world wide web. Many of them have never used it themselves. Did you know that? The only thing they are good at is marketing. So they know how to sell their stuff. So always research a little before you learn from someone. Know who you listen to! This is vital for your success as a conscious creator of your reality. It might sound silly. Because you and I know, that when you want to master something, you must first learn how to play the game. In other words: you must know the rules of the “game” you play. And in a lot of situations this isn’t so hard to do. So why is it different with the Law of Attraction? Well, it’s not different, because there are rules. Only many people have been mislead by the wrong rules. Or the wrong interpretation of these rules. And it’s important to know how to do it the right way. Compare it to baking a delicious cake. If you follow the recipe that is what you will get: a delicious cake. But when you start adding your own ingredients and/or listen to others who tell you to change the recipe a little, that cake might not taste so very well. And you can’t play tennis if you follow the rules for golfing for example. Playing golf is very different. It would become a funny thing to see for the audience, but you’ll never win a tennis game if you handle it as a golf game. And the same goes for the Law of Attraction. So you got to learn the real rules. And I know this can be confusing. As there are many people who spread all kind of rules. Often not the right ones. This is what makes people believe that the LOA doesn’t work. So you are frustrated. And start believing you can’t change your reality. This is what the rulers in the world want you to believe. They want you to feel like a victim, so they can control you. 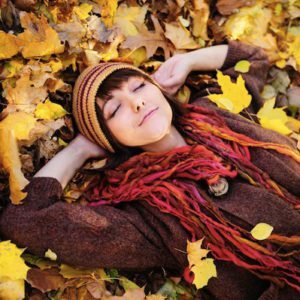 What is the best way to use the Law of Attraction: It starts with Your Vibration! Many people don’t do that. What “like attracts like” really means is that what you’re vibrating is what you’re aligned with. In other words: the frequency you’re tuned into is what you will manifest in your life. Everything is energy. And energy has a vibration. Vibrations all have their own unique frequency. Your thoughts, feelings and emotions are energy too. And every thought, feeling or emotion you have has its unique frequency. Which aligns with everything within this frequency. For example: You feel frustrated because you have no money. And you need to pay some bills asap. Then your vibration is low because you’re so frustrated. This “frustrated vibration” sends out a “frustrated frequency”. And cha ching… the Universe will bring you all within this frequency of desperation and frustration. It can’t do anything else. Because the Universe isn’t personal. The Universe will never think: “Hey let’s give Peter a break, because he’s so down and sad, I will not work for him today”. The Universe simply organizes everything together to give you more of what’s within the range of your vibrational frequency. It is that simple. This is the core principle of the Law of Attraction. You can’t change that. You can only do all you can to live in harmony with the rules of this law. Your thoughts, feelings and emotions (your vibration) need to be a perfect match to what you want and desire for. If this is not the case, you won’t manifest what you want. Because this is an impossibility according to the simple rules of the Law of Attraction. What is the Best Way to use the Law of Attraction: Be willing to Learn! But it simply doesn’t work like that. 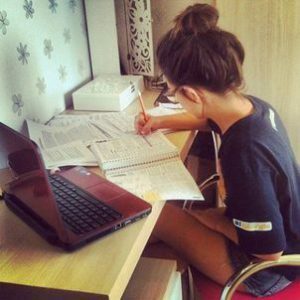 If you want to master the way the Law of Attraction works, then you need to be willing to study. And you need to be willing to practice what you study. So it requires discipline and dedication. Not in a boring way. It can be done so very gentle and playful. And if you’re going for what you really want, you won’t mind. If you are not willing to dedicate yourself to actually learn how manifesting works, you will never see the results you desire. There is no magic here. This is not hocus pocus boom… It took me many years to really understand how to live in harmony with the Law of Attraction. It really takes time and practice. You can’t expect it to work in an hour. Sometimes it will. If you’re aligned with the frequency of what you want you will see results fast. But in most cases this is not so. Learn from the right people. And I know it takes time to find them. But with some effort you will. And you must be dedicated enough to search for the right teachers. Otherwise you’ll have one bad experience after the other. And go home even more frustrated than you were before. Work on raising your vibration. 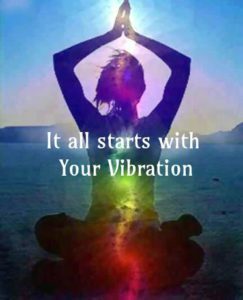 Make sure your vibration is one of Love, Gratitude, Joy, Happiness, and like feelings and emotions. And make sure your thoughts are happy too. Live in harmony with what it is you want. Focus only on that. And not on the lack you experience in your current physical reality. If you do that your frequency will broadcast lack and the Universe will match it with even more lack. Don’t be in a hurry. So what’s the best way to use the Law of Attraction? Be willing to learn! And practice patience. And be 100% dedicated to go for your dreams and desires. If you live in the illusion that it will all happen now, you’re utterly wrong. You need to learn how to play the game and practice it a lot. Just like a junior athlete can’t be a pro within a week. It’s just like that. You’re training muscles. And before you build them, you need to exercise. Mastering the Law of Attraction works just the same! What is the Best Way to use the Law of Attraction: What about you? I truly hope you got a little more clarity. It’s impossible to put it all in one article. But I promise you I will write many more articles about how to create your own reality. If you’re willing to read them and apply the things I teach you, you will have success. I have been very successful in creating my own reality. And I live it. It’s my way of life. That’s what it takes if you want to be a conscious creator. It’s not like there is an on and off button. You need to integrate the principles in your daily life. Only then you can succeed. Of course I’m very curious to learn if you have had any success applying the LOA. Or maybe you have questions. Please feel free to ask them in the comments. I am more than happy to answer them and coach you to greatness. 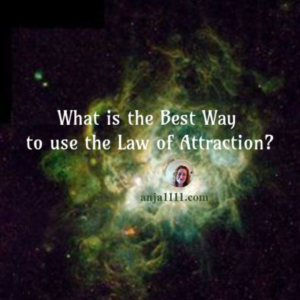 You are here: Anja 1111 » Law of Attraction » What is the Best Way to use the Law of Attraction?